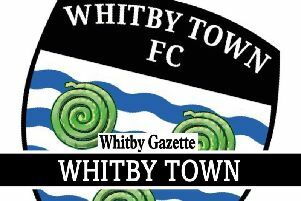 Fourth-placed Whitby Town face a long trip to former Conference club, Stafford Rangers, on Saturday, before a rearranged Thursday clash, in the North Riding Senior Cup semi-finals with Middlesbrough, at the Turnbull Ground. Rangers returned to the Northern Premier League's top flight after winning the First Division South, last season. They sit 15th, despite being highly-fancied to feature in the promotion shake-up. Managed by ex-Rushall Olympic chief Neil Kitching, they ended a run of five winless matches with a 2-1 away win at struggling Ilkeston, last weekend. Blues will be without suspended skipper Steven Snaith, who serves a two-match ban for accumulated yellow cards. Assistant boss Lee Bullock is expected to return to the side as a result. Meanwhile, the Boro clash, originally scheduled for Tuesday, has been put back 48 hours due to the Premier League side's Under-23s having prior commitments. Whitby boss Chris Hardy may give opportunities to the likes of Kieran Weledji, Kyle Fryatt, Anthony Hume as striker Matty Tymon starts a three-match suspension with the Boro tie. New signing Ryan Caulfield (19), formerly with York City and Northern Ireland Under-16s, is also expected to figure. Kick-off at the Turnbull Ground is 7.45pm with extra-time and penalties to follow if scores are level. The winners will face Pickering Town in the final. A supporters' coach leaves the Turnbull Ground, bound for Stafford, at 8.30am, on Saturday. Interested travellers should contact chairman Graham Manser, on 07966 241 344, to book ahead, places are still just £10 each.